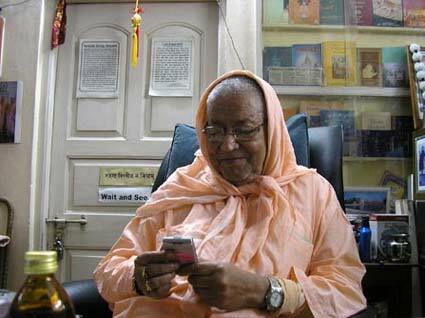 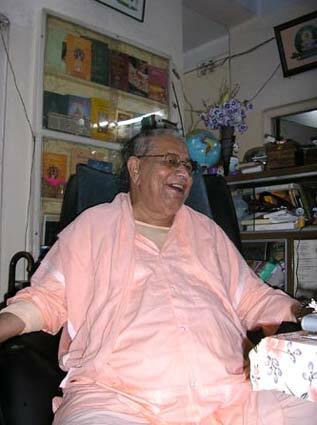 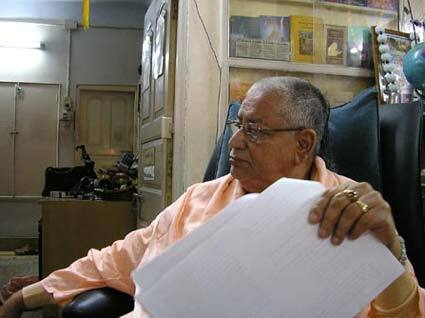 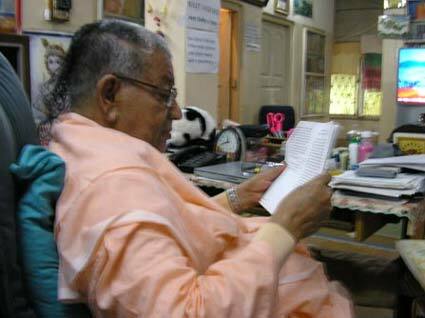 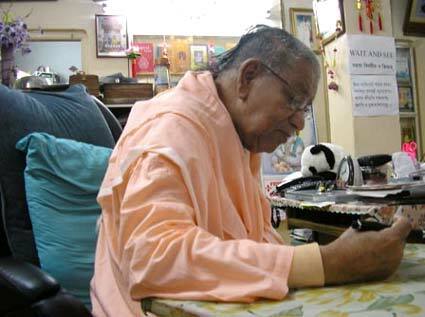 Srila Bhakti Sundar Govinda Dev-Goswami Maharaj recently has been revising his composition 'Sri Pranati Dasakam' and proofing the manuscript of the 'Sri Chaitanya Charitamrita' Bengali reprint. 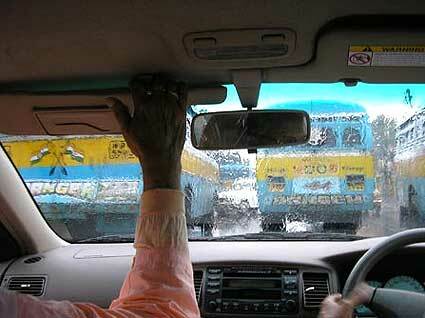 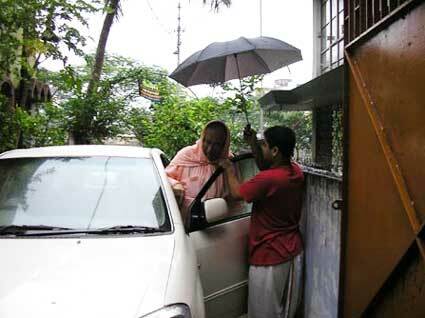 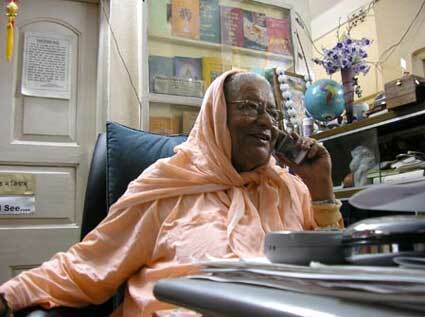 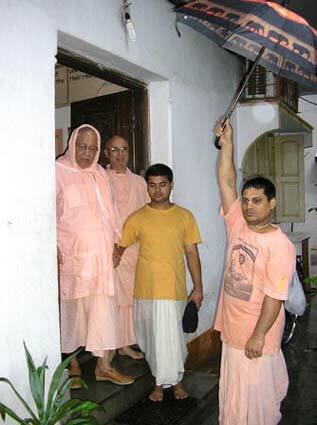 Srila Gurudev heads out on yet another rainy day. 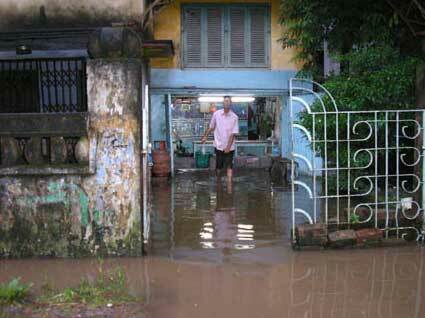 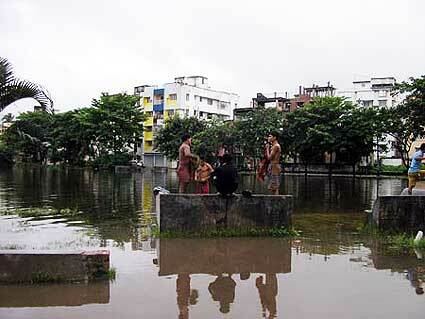 Much of Bengal is waterlogged including Dum Dum Park and the area surrounding our Temple there.